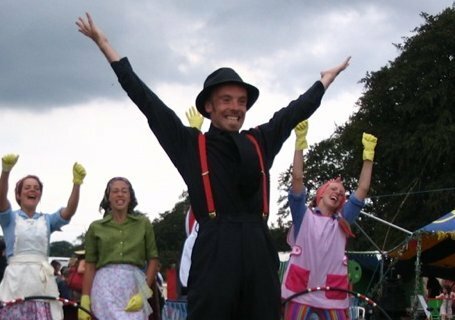 WE TEACH PERFORMING ARTS AND CIRCUS SKILLS TO DISADVANTAGED CHILDREN IN THE UK AND ABROAD. We believe that by teaching disadvantaged young people new skills, has many benefits and can contribute to improving their situation in many positive ways. 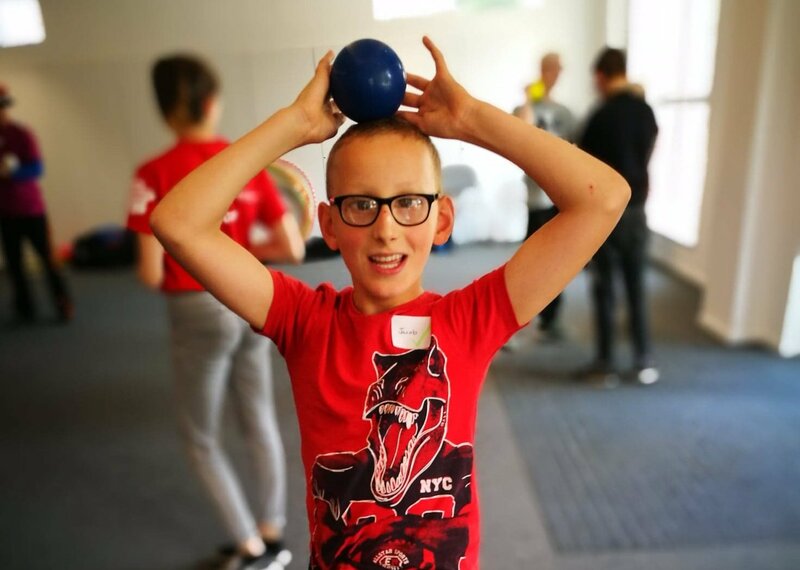 There is a growing body of research showing that well designed circus skills courses can be particularly good at being inclusive of all abilities and can be physically and mentally beneficial to a wide range of individuals. At PWB we have a group of workshop leaders who are particularly skilled at working with financially, psychically or mentally disadvantaged kids. Whether they be orphans and vulnerable children in countries of high child poverty, or kids in deprived areas of the UK, or children with physical or mental disabilities who already engage with other organisations in the UK. Please browse our website or get in touch for more details. Performers Without Borders (PWB) has two main areas of operation. PWB-International – We send a small group volunteers to work with our partner organisations (eg. schools, orphanages) in India, Nicaragua and Kenya, where they spend 3-4 weeks engaging with the children and developing their skills. The volunteers also undertake day trips and shorter projects with aligned organisations nearby. PWB-UK (or PUK) – Works with disadvantaged children in the UK, usually via a partner organisation that is already in contact with these individuals. We aim to engage with any 5 to 25 year olds, who are either physically, mentally or financially disadvantaged. We can run structured courses over a period of weeks or deliver a workshop schedule that runs over a single day. PWB International celebrated its 10 year anniversary in the summer of 2017! We have worked in India for 10+ years, Nicaragua for 4+ years and Kenya for 3+ years. The tours take the form of teaching circus skills and how-to-teach, in order to build a lasting and permanent legacy. 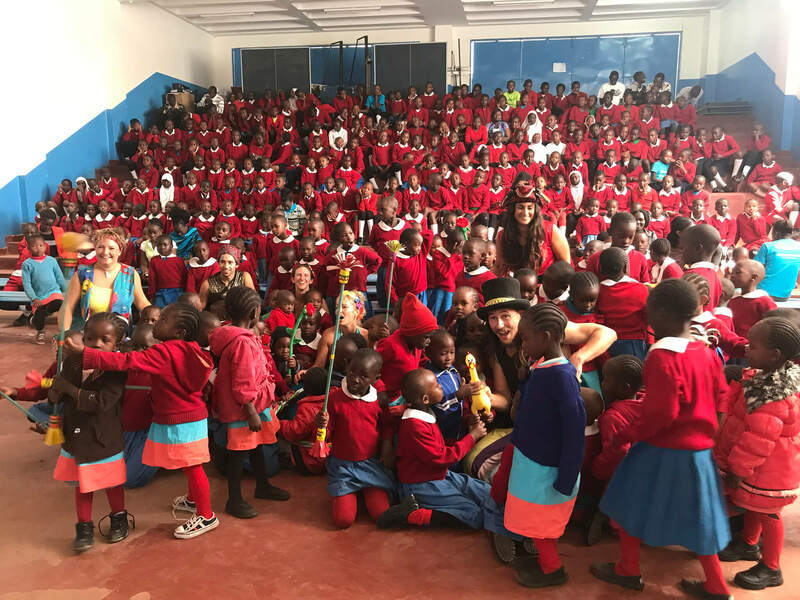 We have previously visited Sierra Leone and some of our partner organisations have formed their own troupe of circus performers and have regular weekly skill shares and perform at local events. We have recently launched PWB-UK in order to teach disadvantaged children in the UK and have so far taught several workshops across the country to deaf and blind children. In the future we are hoping to grow PUK, so that we can work with more disadvantaged children. 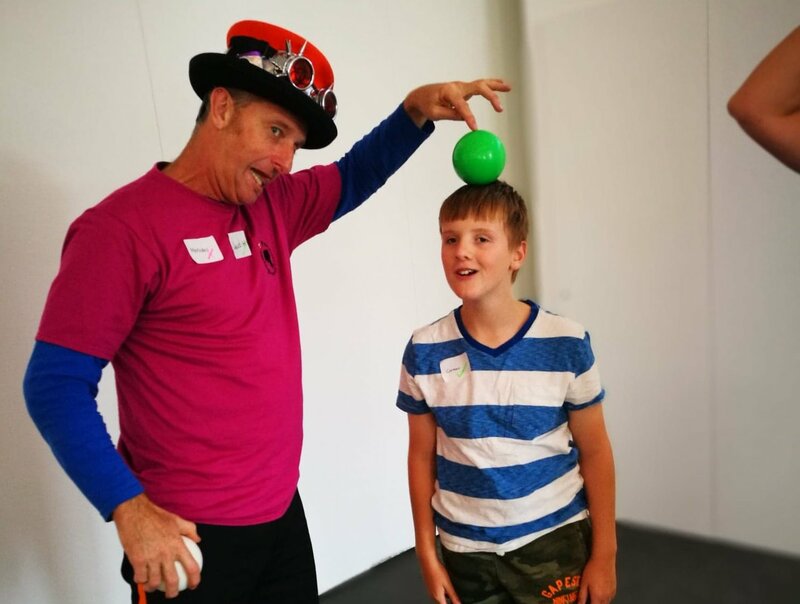 We are also hoping to conduct research into the benefits of learning circus skills. To do this we need partner organisations to work with, funding bodies to sponsor our work and collaborators to support our research aims. PWB is a volunteer run charity that believes in the transforming power of learning and performing the arts. 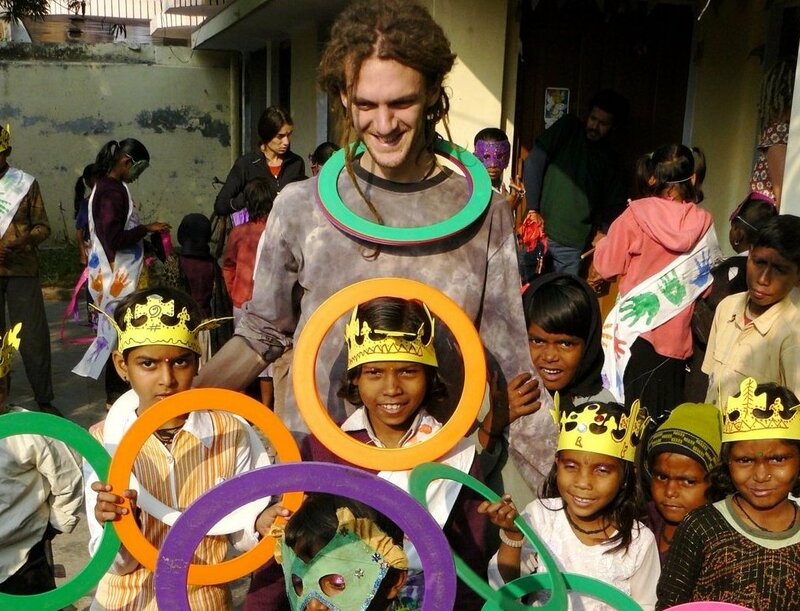 The idea for Performers Without Borders was first developed by Jonny Forbes and Matt Morris in India during the Spring of 2006. While Jonny was studying in India and Matt was finishing a voluntary project they meet up in Varanasi. Sweltering in the summer heat they formed the idea to fuse their shared interests in performance skills and community development. From this beginning they have found that there is great interest and enthusiasm from the performing community, they are now working to ensure that PWB will be a success. PWB celebrated its 10 year anniversary in the summer of 2017 (see video above). We have worked with orphanages and schools for OVCs in India for 10+ years, Nicaragua for 4+ years and Kenya for 3+ years. The tours take the form of teaching circus skills and how-to-teach, in order to build a lasting and permanent legacy. 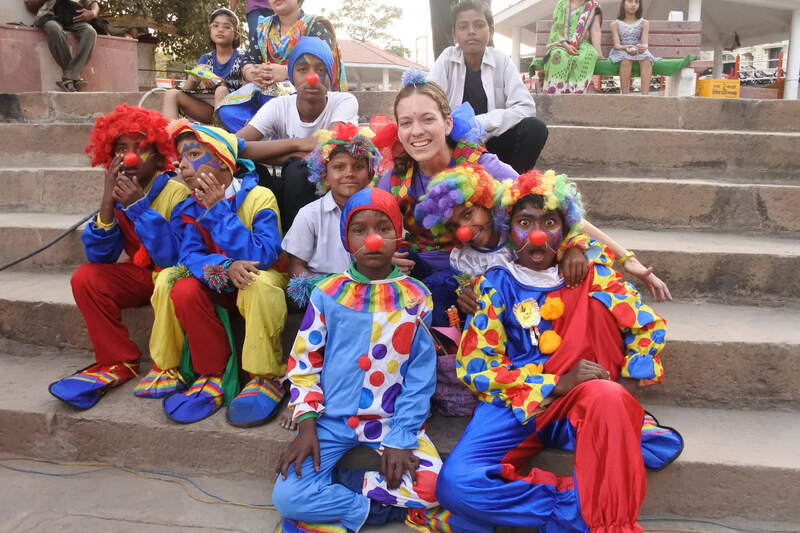 We have previously visited Sierra Leone and some of our partner organisations have formed their own troupe of circus performers and have regular weekly skill shares and perform at local events. Recently (2018) we launched PWB-UK to teach disadvantaged children in the UK and have so far taught several workshops across the country to deaf and blind children. Our volunteers raise their own money for the tour and donate their time free of charge. However we purchase equipment, pay administrative costs centrally and pay our UK workshops leaders – and all this needs funding. Therefore as a small (but growing) charity, PWB is reaching a stage where we require greater funding to expand into the next planned stage of our strategy. As such we are looking for suitable Trustees and new sponsorship sources, whether it be from: funding bodies, benevolent corporations or individual donations. Please search our website or get in touch for further details, and please join the FAB500 by donating £2 a month or more and become “officially” fabulous.